Advance Telephone Systems Inc. in Avon Park, FL is a computer network cabling and data solution provider. Computer networks are the lifeline for all types of IT service businesses. Depending upon the size and nature of your business, you need special network design, implementation and maintenance programs to ensure that your business works smoothly. Let the telecom experts of Advance Telephone Systems Inc. take care of all your network cabling and administration needs 7 days a week, 24 hours a day. Though we are based in Avon Park, FL, we serve the commercial clients of Highlands, Hardee, DeSoto and Polk Counties. 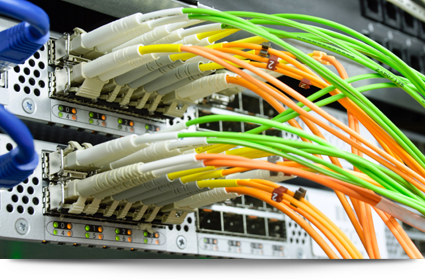 If your existing fiber optic cabling systems are not working smoothly, look no further than Advance Telephone Systems Inc. We are a full service telephone interconnect company known for our expertise in diagnostics and repair services. Feel free to give us a call and set up an appointment to discuss your telecom system needs. Copyright © 2013 Advance Telephone Systems Inc. All rights reserved.